This groundbreaking book contributes to an emerging literature that examines responses to the rights revolution that unfolded in the United States during the 1960s and 1970s. 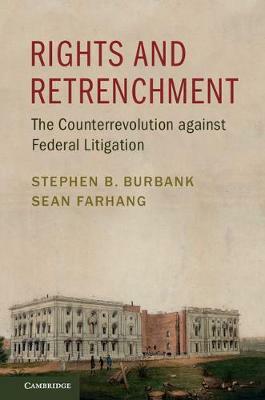 Using original archival evidence and data, Stephen B. Burbank and Sean Farhang identify the origins of the counterrevolution against private enforcement of federal law in the first Reagan Administration. They then measure the counterrevolution's trajectory in the elected branches, court rulemaking, and the Supreme Court, evaluate its success in those different lawmaking sites, and test key elements of their argument. Finally, the authors leverage an institutional perspective to explain a striking variation in their results: although the counterrevolution largely failed in more democratic lawmaking sites, in a long series of cases little noticed by the public, an increasingly conservative and ideologically polarized Supreme Court has transformed federal law, making it less friendly, if not hostile, to the enforcement of rights through lawsuits.